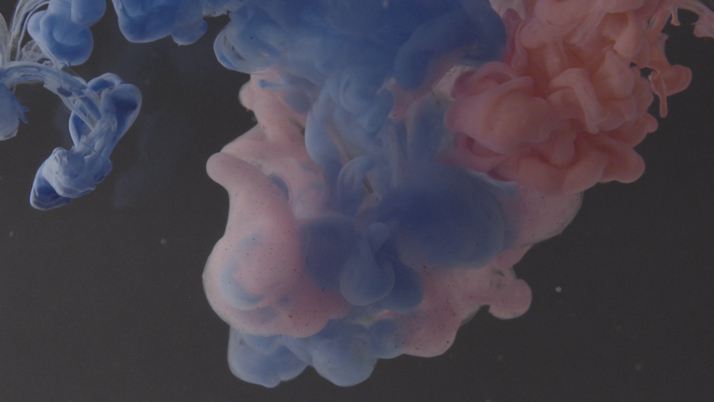 Would you buy a magazine with a cover that had been printed with HIV positive infused ink? 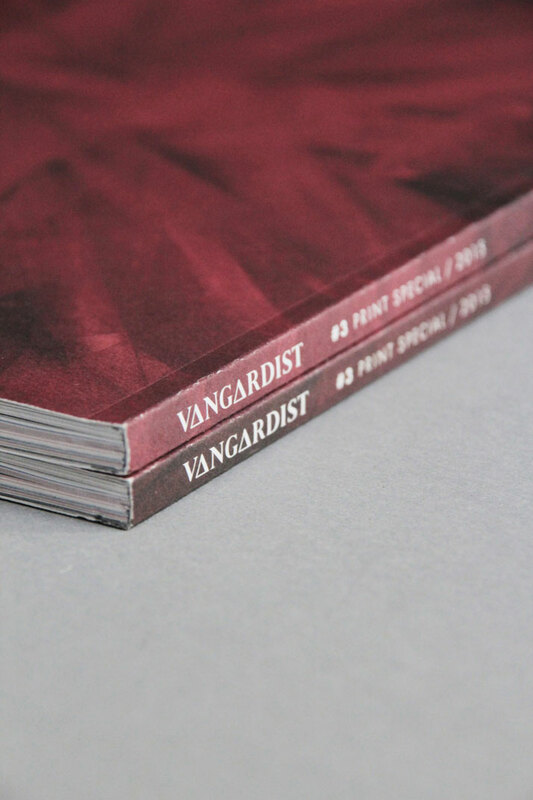 Although for the most part an online publication, Vienna-based Vangardist Magazine has recently released a limited-edition printed issue that some people might refuse to even get their hands on — the reason being that it has been printed with ink infused with the blood of HIV-infected people. 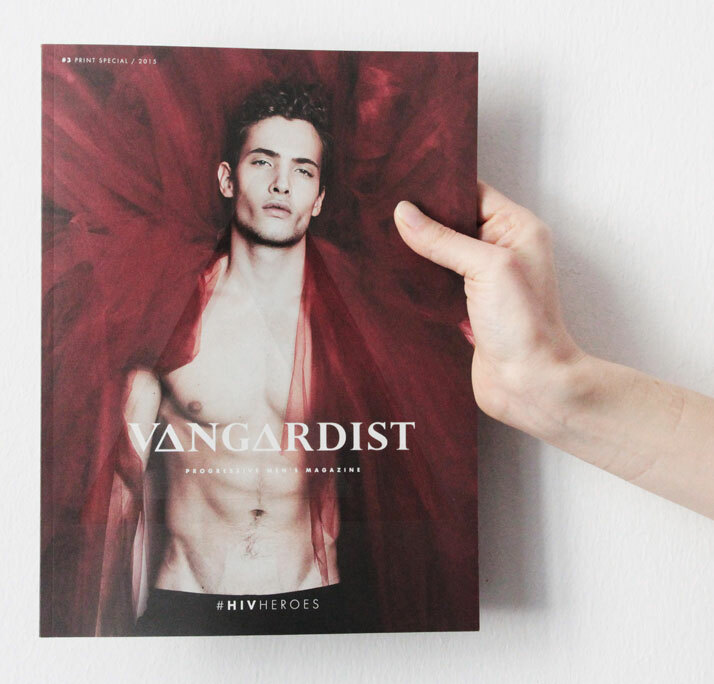 Released in tandem with two major Vienna events (the Life Ball, Europe’s largest fund-raising event supporting people with HIV/AIDS, and the 2015 Eurovision Song Contest),Vangardist’s special Spring issue was designed as a symbol of the HIV ‘issue’ in general, acting as a much-needed catalyst for discussion and introspection when it comes to the real facts about the nature of the virus and the widespread social stigma that is unfortunately still associated with it. 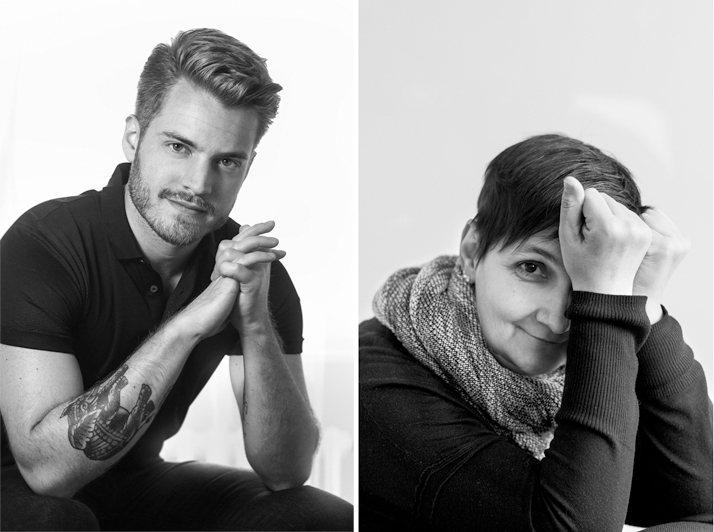 Donors: Wyndham Mead, photo © Andre Gehrmann and Wiltrut Stefanek, photo © Daniel Gottschling. 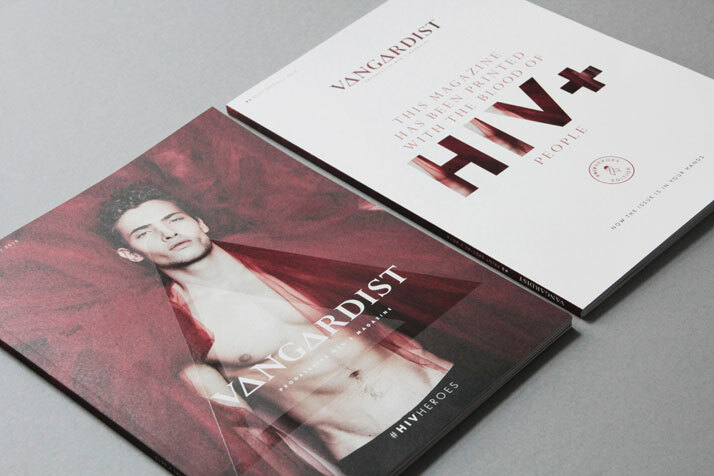 #HIVHEROES, Behind the scenes, © Vangardist. 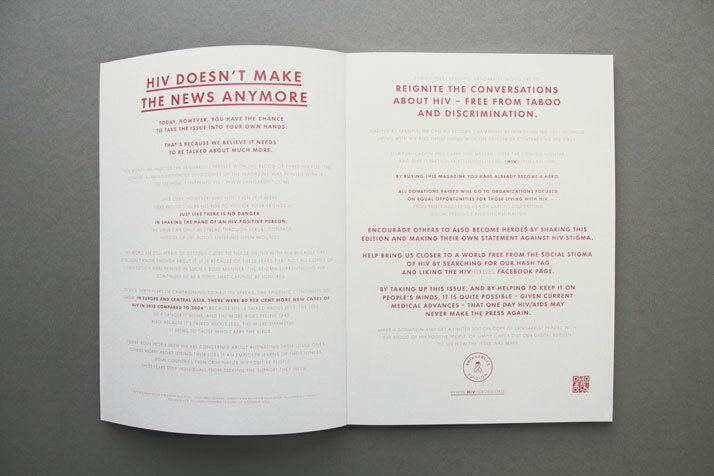 The printed magazine, as well as the overall HIV Heroes campaign that it is a part of, was designed in collaboration with creative agency Saatchi & Saatchi; and to be exact, only the front covers of some 3000 copies of the issue have been printed with the blood-infused ink, while another 15,000 copies have been printed using conventional ink. 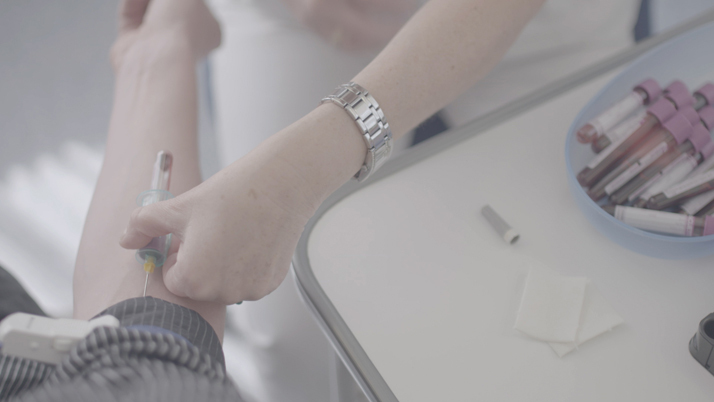 For the printing of the limited edition issues, the blood of three donors was used, which was treated at the University of Innsbruck so that it would pose no threat for contamination. A small printing house in Austria agreed to print the special copies of the magazine by infusing the blood into its printing machines; the owner of the printing house oversaw the printing himself over a single night shift as he didn’t want to involve his employees in the process. The blood-printed copies of the magazine were then released in a plastic transparent resealable pouch for legal reasons and also in order to confront readers with the choice of actually getting in touch with the magazine. The whole gesture is meant to bring awareness about the reality behind how the HIV virus can actually be transmitted, the message being that it is as safe to touch a person infected with HIV as it is to touch a magazine printed with the blood of such a person. 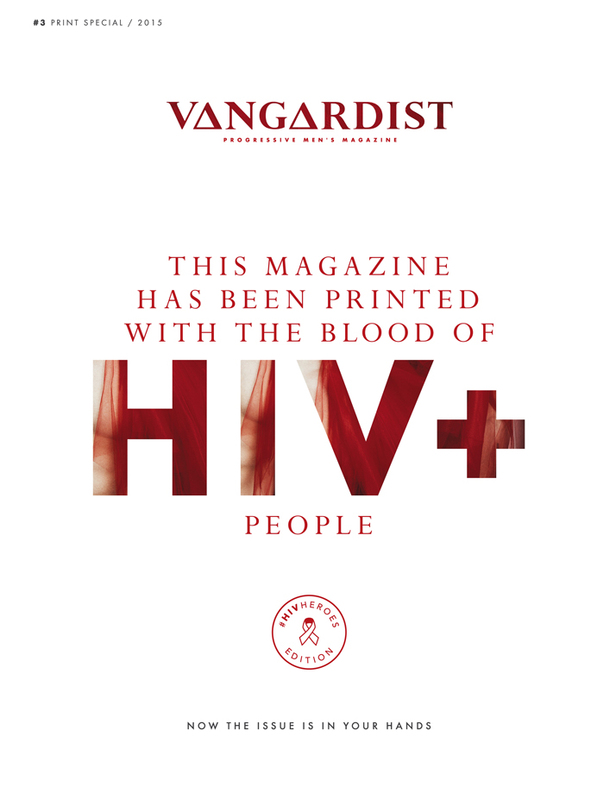 Printing with blood is of course not a novel idea in itself; in the case of the Vangardist however, what is interesting is the fact that a publication that would normally be associated with fashion, entertainment and consumption decides to create a campaign based on a marginalised and sensitive issue like people living with HIV. As a result, facts about the virus and stories of infected people coping with the disease are mixed with articles about city nightlife and fashion editorials; a move that seems contradictory at first and is bound to make many readers feel uncomfortable. I even find myself wondering: is this just a well-executed publicity stunt? 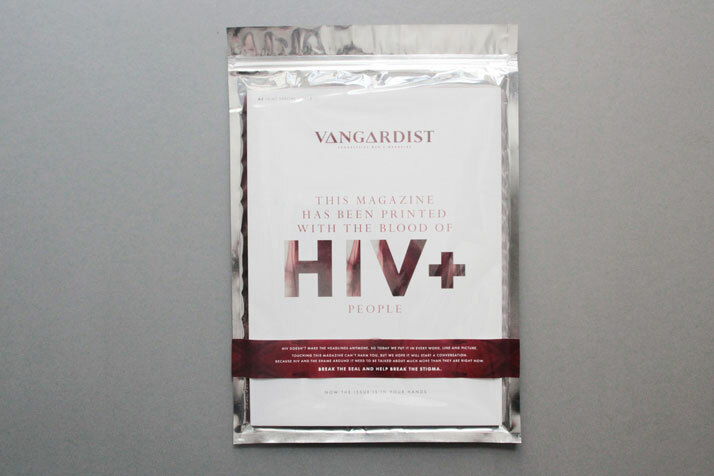 Is Vangardist Magazine glamourising a very serious social issue and the suffering of millions of HIV-infected people? Although I think of all these questions as I leaf through the magazine, feeling somewhat disturbed with the way the editors have mixed such a serious issue with their usual lifestyle content, gradually I begin to understand that this frustration and negative feelings are the exact reason why this magazine has been published in the first place: we are used to not talking about HIV and pretending that people infected by the virus simply do not exist. We refer to HIV as an abstract concept and acknowledge its existence, but are disturbed or even alarmed when we come across the issue in our everyday lives. 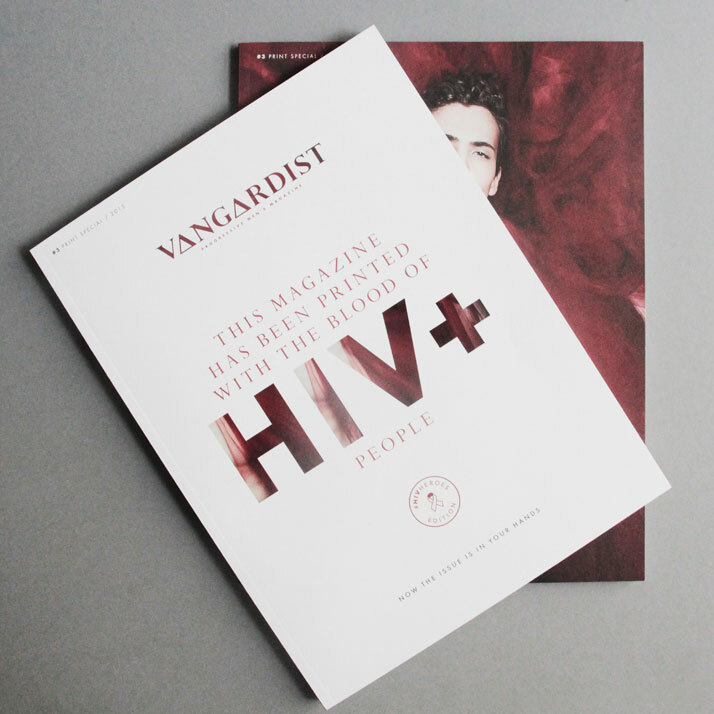 I finally realise that the Vangardist editors are right: we need to talk about this more, in order to confront what we don't understand about the disease and simply realise that HIV-positive people are first and foremost just people who deserve the same respect and have the same rights as everybody else.